The Indy 500 is Sunday. You're obviously going to watch, but now you need to know who is who. Thankfully, this handy spotter's guide should sort that all out for you. 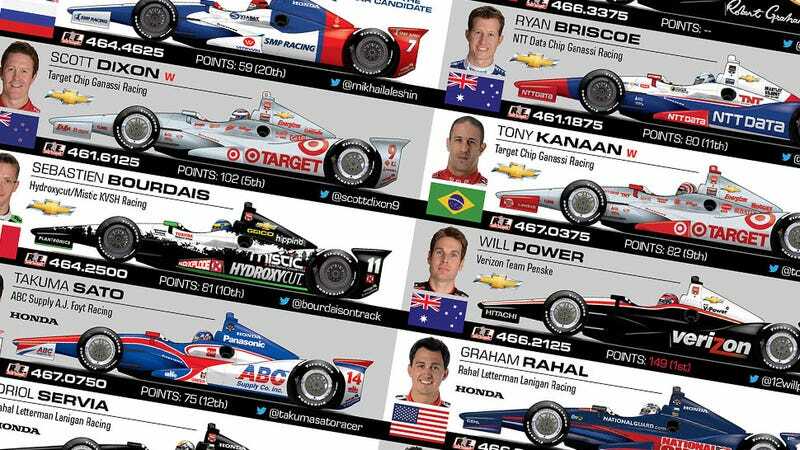 IndyCar sent this over, and it has all the special liveries, the drivers, their numbers, where they're from, engines, and more. It's basically your encyclopedia for the 500 on Sunday. Study up folks.